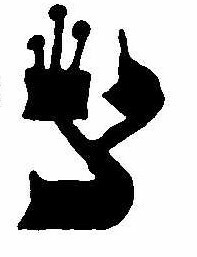 In most forms of k'tav stam (Sephardi, Ari, Jeckisch, et c.) the righthand yud of the letter צ is reversed (see fig. 1). On the other hand, the Beit Yosef's צ uses a regular י shape in the righthand yud (fig. 2). Why is there a discrepancy and what are the sources for both forms of yudin? Browse other questions tagged sources-mekorot safrus aleph-bet-letters .